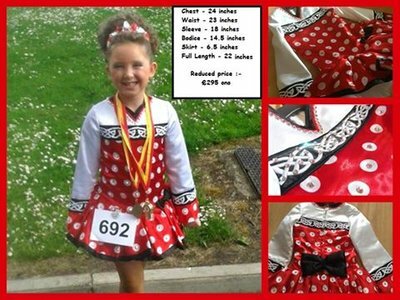 Stunning “Minnie Mouse” themed dress for sale – suit ages 7 -9 depending on size. Available immediately, excellent 1st solo dress. Includes matching hair band and kickpants. Asking Price: £295.00 ono. Shipping costs are included for my own country, overseas shipping is extra. Returns are negotiable.